The National Council for Adoption has concerns on adoptees using DNA tests to find their families of birth and get health information. Whether I, or any other adoptee chooses to take part in DNA testing for health information or for searching is no one else’s business. There is nothing to react to. Yeah, no, adoptees should not have to identify as adopted when they do dna testing, nor should they be asked to identify themselves. . They are warning about taking the medical aspect too seriously. I don’t disagree, for many more nuanced reasons than what is noted in the article. But also because there is no better way to predict what you could face than a well documented family health history. Rather, in regards to testing for health information, you should have focused on educating adoption agencies who are members of yours to do better than to have let the abysmal practices of the past continue to the present in many ways by some agencies. Instead, all agencies could have focused on educating parents by birth about how important it is to have a solid family health history to start with (i.e. get the info from elders in the family), why updates are needed throughout life, and that the agency requires this for the child. 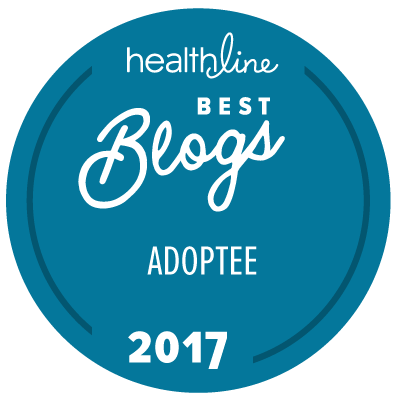 Do adoption agencies do reminders on their website and FB pages, newsletters, retreats, reminding them how important it is to update the child’s file? Do they mandate best practices are followed when they do get an update; that they notify the adoptee or adoptive family to contact them? Or do they follow what seems standard process for some, perhaps many, that the adoption agency files updated health history in the file on the odd chance someone would ask. I don’t know what happens if an adoptive parent asks, but typically, if the adoptee asks for anything from their file, they are charged far more than the cost of pulling the file, copying the info, stamp and envelope. All of these practices (that are still happening) leaves adoptees in the position they now are, without needed information, hence doing the DTC genetic health and family information testing. Final note: The adoptees choosing this route are long grown, please stop assuming they need your help to manage being adults. Some adoptees have already weighed in on their Facebook page. I am not shocked at all. They are a for-profit industry. They have their knickers in a twist because they can’t keep the door locked any more, and they don’t like it. They include both adoptees and families by birth needing to “identify they are such”. Hmm. Why is that? I thought it was only the (birth) mother that needed “””””””””protection/privacy””””””””””. (Isn’t that their reason for fighting open records?) So if a (birth) mother did a test, why should there be any big who haw about needing an intermediary? An intermediary probably would have been a no go forward for reunion for me. I suspect that is why numbers of mothers opting for veto has seemed to increase. Maybe that’s just my imagination. I can certainly see it happening more often with a buttinsky. Due to the mind controlling abusive damage done when we first had our infants taken for adoption. To me, what they are saying is, “No, no, no! You can’t find each other. That’s against the rules! We made the rules damn it, and you WILL abide by them. Notify us of who you are and we will send you information, or we will have someone contact you. Someone who will use all the right words to scare the stuffin out of you, or put you back in your -less than- place, so you won’t think about doing this again for a very long time! If ever. thankyouverymuch”. Their protestations give the impression that adoptees and (birth) mothers/families are somehow, psycho and must have someone to run blocker due to the damage that surrender and adoption have done to ….both mother and child? Or do they not want the story to come out through reunion, that so much of the time it was truly NOT a “choice” or willing surrender? What else is a person to think? Or; Adoptees are “prized” as highly as, or perhaps more than, gold. The ‘purchasers’ must have their investment protected. It was to be a “forever family” can’t have none of this -other- STUFF. In another “interesting” adoption moment today, while at the park with my found me, dear ones, I saw a woman with a t-shirt that had 3 great big words printed on the back. ADOPT DON’T SHOP. I won’t describe what all ran through my mind in the intervening time until she left the area. I’m still SMH. Cindy – great catch, totally missed that they wanted first parents included in that. I was just getting madder and madder reading that article, spitting nails, which I’m sure you can tell by my cobbled together response. We could probably build half a fair size home with the nails we’re both spitting. I’m still giggling with glee so much at the DNA searches, and reunions! !, and the loosing of control of the secret keeping people and their obvious thread grabbing scrambles to cover their asses and maintain their sales pitch – I can’t seem to spit one nail. Too busy laughing at them. It’s time to accept, as hard as it may be for some, that those days are over. I’m just so tickled, lets have a party! There are quite a few going on over at ancestry.com that I know about. DNA proffesionals with knowledge of Adoption concepts are there and are absolutely thrilled to be at the party too. I’ve found them to be the proper professionals with answers to most questions concerning your DNA results, as well as assistance with matching your results with one or many in your forever family tree. It’s become my opinion that people who tend to be the most helpful with contact and reunion are those that have BTDT and have done the work to attempt to understand it all and make some kind of peace with it. Or, simply put, Keep the adoption “professionals” out of our business. Talk about control issues! What have they got to hide and control?! They need to answer those questions. Plus, they need to knock it off with the 25 cent words. Contextualizing, indeed. I’ll try to spit a few nails, in between my expressions of glee. disproportionately… I call BS on that one. I know soooooooooo many people who are contacting and connecting with family members they did not know, or even know of, before they began their ancestry research. Far more non-adopted than adopted people. I’ve had more contacts with my husband’s(not adopted) relatives that we’ve connected with in this DNA matching way – many more than with any of my adopted or original family’s previously unknown relatives. The degree of emotion with each find, each meeting, of course, is individual. And often unexpected. For me, finding out about a few of my long dead, many times great grandparents changed my world in bigger ways than meeting my father. Earth shaking life changing emotional for me. It doesn’t take Adoption for that to happen. All of them were newly discovered for my father too. Everyone gets to deal with their emotions concerning newfound knowledge and/or contact of relatives. As well as attempting to fit, add, new relatives in the fam. Adopted people don’t have sole claim on that. I think Adoptees are Not in such a different arena as the Adoption proffesionals would like you to believe. Adoption ” professionals” certainly complicated my search, as I told the CEO of the org who I had to contact 2x, before my non-identifying info was released. Hoping the woman wearing “ADOPT NOT SHOP” t-shirt was referring to animals. That’s very common saying/theme for those of us involved with animal welfare. Animal welfare or no it was disturbing. How many people seeing that shirt thought of infant/child adoption? How many adoptees were triggered by that shirt? How many parents who lost/surrendered a child were triggered by that shirt? How many others saw that statement and saw the message as encouraging them to adopt a child? I should have asked the woman what her shirt was about. It really doesn’t matter though because the two are so interchangeable in the mainstream due to the terminology. I would like to see one or the other practice (child or animal adoption/forever family finding) change their terminology. Even the damn surrender forms for stray kittens /feral cats/animals is way too similar to the surrender papers that are shoved in front of mothers and fathers. Try having to take strays in and not have a “crazy” (grieved, terrorized, traumatized) mother episode at the shelter. It’s like we slid in (with DNA) and got them off-guard and now it’s all damage control. it’s pretty obvious to those of us who read you Tao. They are scrambling to keep their profits. Yep and control any reunion via the “adoption professional” who I’m sure they want to be the one to make contact. That is part of their new marketing I’m sure. And states demand an intermediary? OMG! As others have pointed out, there is no need to ask anyone undergoing DTC DNA testing whether they are adopted. Any information “relevant” to adoptees may well be relevant to others as well and perhaps even more so. After all, we are hearing of people who discover via DNA that they aren’t biologically related and thus just general information on those sites addressed to everyone about the implications of finding DNA relatives is all that is needed. Those birthmothers who are “worried about being found” need to have it made clear to them that in this age of DNA, it is always a possibility. Singling out adoptees who know they are adopted isn’t going to stop that either – after all, if a person who hasn’t been told they were adopted decided to do DNA testing for genealogical reasons, the birthparents may be found that way. So openness and honesty by everyone is the key. Also, I would point out that if all states had unsealed adoption records, they might find that fewer adoptees would feel the need to search for birthparents via DNA firms although I admit that searching for birthfathers via DTC DNA testing would still remain relatively high. I have thought of doing it myself re my birthfather but at least I know that if I did, I don’t have to worry about the “privacy issue” for my maternal side since I am in reunion with them and can openly admit to be related them (I also have family history books that have the names of about 7,000 relatives so I could use that to cross reference the maternal side). As far as I’m concerned, the NCFA are being hypocritical in fighting to keep adoption records sealed and then lecturing adoptees who feel forced to use DNA testing. I personally would much rather be able to get information about my bfather another way so that I could be more in control of making contact and I am sure that other adoptees might also prefer to be able to get a name, do one’s own search and make contact directly rather than having to explain what one wants to biological relatives while not knowing whether they know anything about the adoption or not. Most adoptees I know are very aware of the implications of finding biological relatives and certainly don’t need the NCFA to lecture them about it.